ST. GEORGE — Officers from the St. George Police Department are actively searching for a man suspected of trying to lure young girls into his car Wednesday afternoon near Lin’s Market on Mall Drive. In a post on the department’s Facebook page Thursday morning, police specified they have good information about the suspect who is being investigated by officers from several divisions, including school, patrol, investigation and administration. “This is a great time to remind you that if you see something, let the police know first,” the post states. 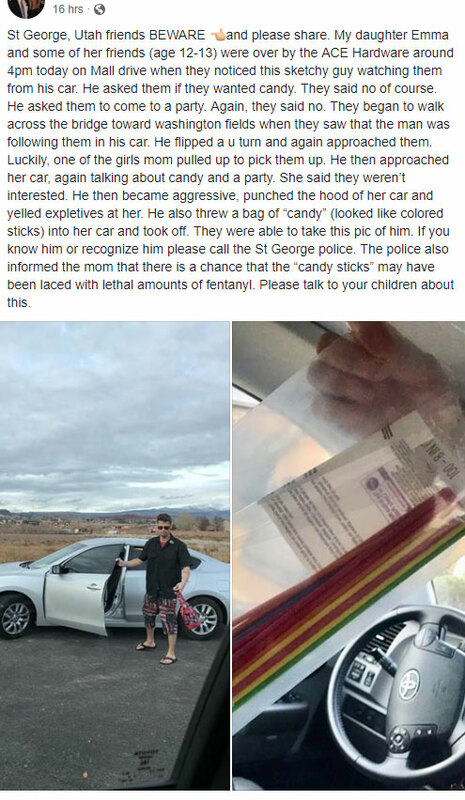 Other Facebook posts have been circulating throughout the day describing the alleged incident of a suspicious man approaching a group of teenage girls with candy melts, attempting to entice them to a nearby party. The writer of the post said when rejected, the man became agitated, punching her car on the hood and throwing a bag of candy melts into her car before yelling expletives and driving away. The man with a previous criminal record for drugs has been identified by several members of the community, but St. George police were unable to confirm the identity with St. George News at the time this report was published. They also couldn’t confirm other rumors of incidents involving the same suspect on Thursday morning. 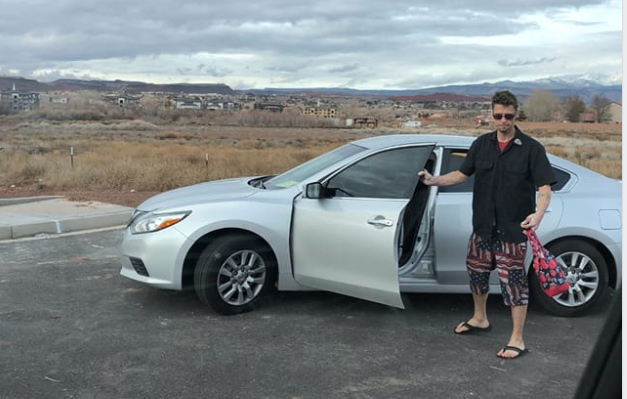 The photo accompanying the post shows a man with brown hair, average build, wearing a black shirt with American flag shorts and driving a late-model silver, 4-door sedan, possibly a 2016 Nissan Altima. Anyone with information about the suspect or similar incidents that may have them concerned is asked to call St. George Police at 435-627-4300. Yeah, I’m gonna wait and see how this plays out before I call for this guy’s head on a stick. Well hello there little girls. Would ya like some candy sticks?! Looks like the facebook detectives have solved this one. But there’s probably more to the story. Advise you parents to keep an eye on what your little tweenies do on social media. would probably be a good place to start. from here or a local hotel. So relieved to learn there was no alcoholic beverages involved in this incident.